We are conveniently located near your home or business or will come to you! We provide the best in-office teeth whitening treatments available. 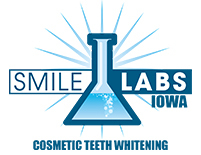 Our Promise is that our location and equipment is spotlessly clean, staffed by pleasant, knowledgeable Team Members who use only our most cutting-edge Teeth Whitening Products. Professional whitening is best performed with light technology. Light technology is referred to as photo-polymerization and was first approved by the FDA for teeth whitening in 1996. The Infinity™ Pro SL is a LED lamp that uses a cold blue light tuned to a wavelength of 480-500 nanometers. The light technology system works by accelerating the chemical reaction, rapidly speeding up the treatment time. During a treatment the accelerator light is placed directly in front of the customer’s open mouth for 15 minutes. The Infinity™ Pro SL uses the perfect wavelength of light and is designed to accelerate the whitening process of our teeth whitening gel. Using a small brush, the customer easily brushes the photosensitive whitening gel onto the outer surfaces of his or her teeth. This gel is only applied to the teeth and not to the gums avoiding any teeth sensitivity and gum irritation. Our teeth whitening gel utilizes peroxide-based chemistry, specifically called Hydrogen Peroxide. The teeth whitening gel is 16% Hydrogen Peroxide in a viscous water-based food-grade gel. This whitening gel hydrates the teeth throughout the whitening procedure preventing sensitivity. It’s a natural, pain free product, and it is made in the USA.